Password JDM Zoomer/Ruckus Long Distance Gas Tank HONDA - Dezod Motorsports Inc - Home of the automotive performance enthusiast since 2002. Sick of filling up your Ruckus every other day? Do you have an engine swap and need extra fuel capacity? Password:JDM has the solution for you! This product has been a long time in the making, but we have finally perfected it! 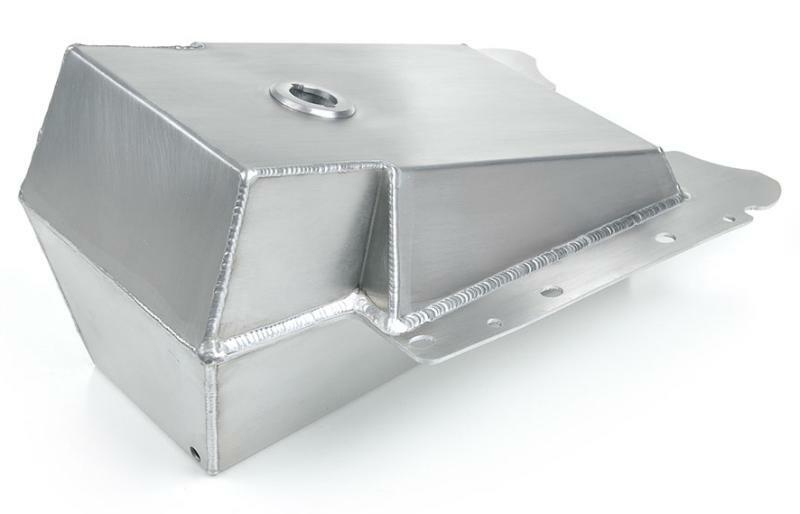 Our aluminum long distance fuel tank has a 2.5 gallon capacity which is more than double the factory tanks capacity! Complete bolt on installation, uses factory fuel pump, lines, and gas cap. Compatible with the Password:JDM Ruckus Light Weight Lower Frame Brace. As with all Password:JDM Products, our extended fuel tank is manufactured in house, hand TIG welded, proudly in the USA! When you are buying a PWJDM product, you are buying the best! We are offering the Password:JDM Long Distance Gas Tank in either a RAW aluminum finish, or for an additional $40.00, you can have it finished in a high gloss black powdercoat.